This week’s episode is an interview with Meagan Zurn (or “Zee,” co-producer of The British History Podcast) about Antonio Gramsci. 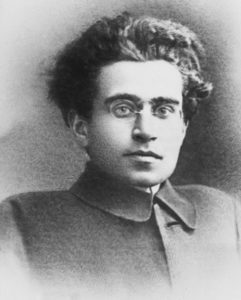 Gramsci was a socialist, journalist, and briefly a member of the Italian parliament before getting thrown in jail by Mussolini’s regime in 1926. He died in prison in 1937. His writings, especially his prison writings, outlined the relationship of power and culture, and his insights are especially useful for understanding the rise of fascism in Italy, as well as how power and hegemony function everywhere else. Liked it? Take a second to support The Weird History Podcast on Patreon!